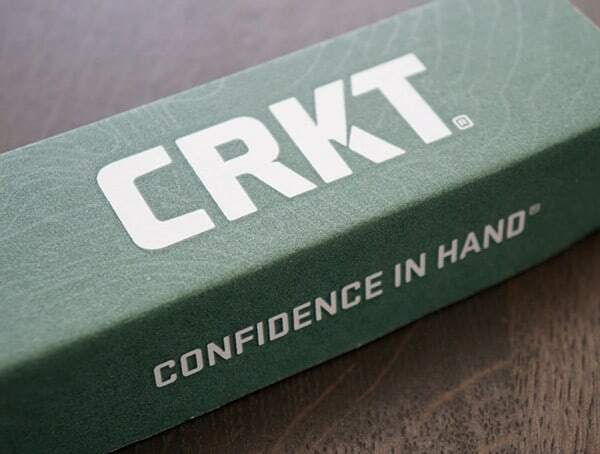 Opening its doors in 1994 Tualatin, Oregon, CRKT has committed to making some of the most dependable and practical knives available. 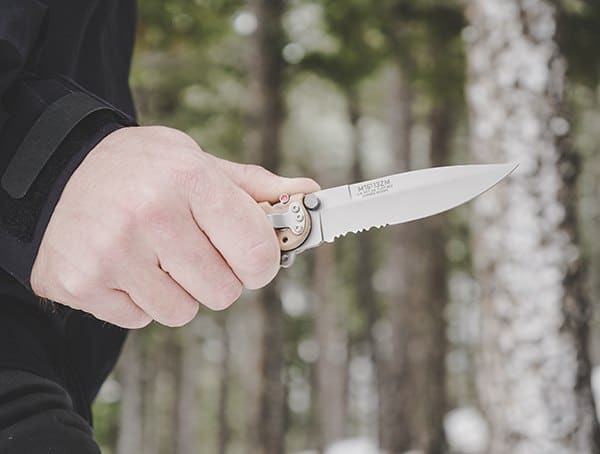 Both founders, Paul Gillespi and Rod Bremer, were experience knife makers but knew there was potential somewhere untapped. 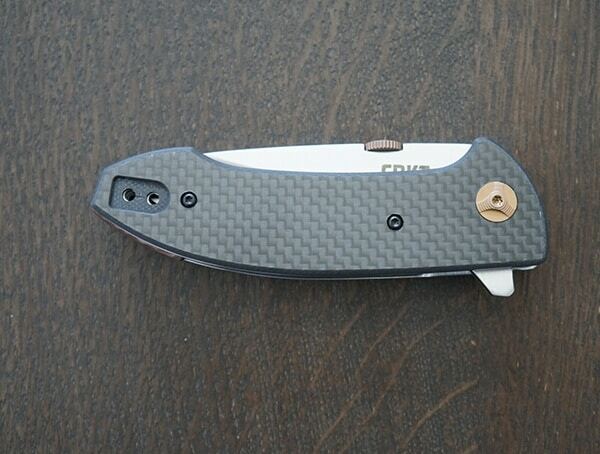 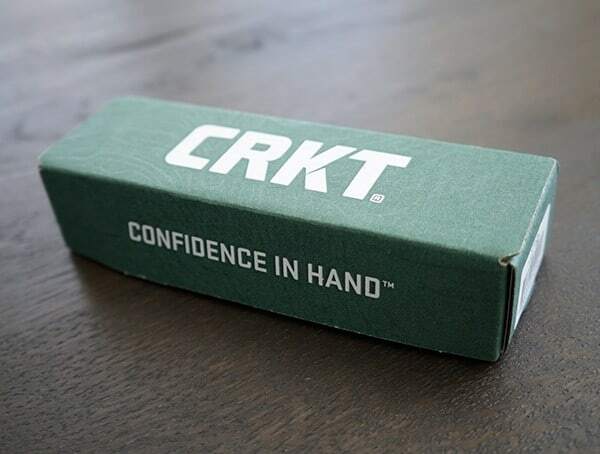 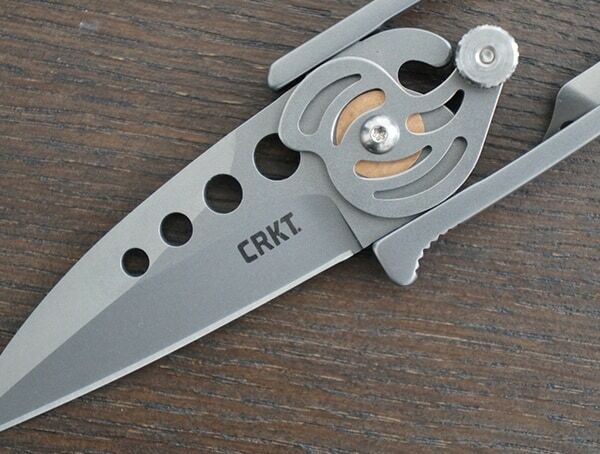 CRKT’s first product would take off higher than anyone anticipated and from here the rest has been history. 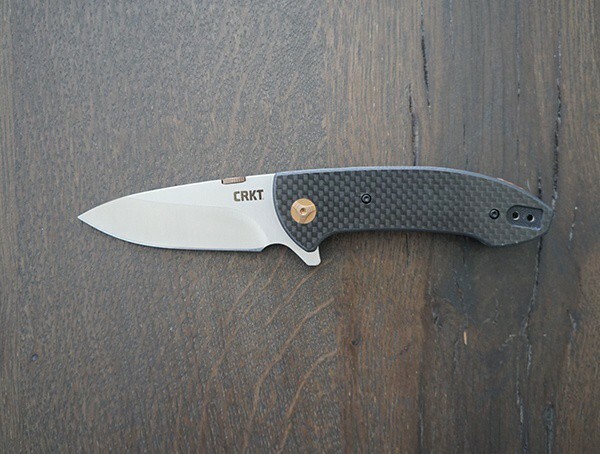 Oh, and if you weren’t aware already, CRKT produces more than just knives. 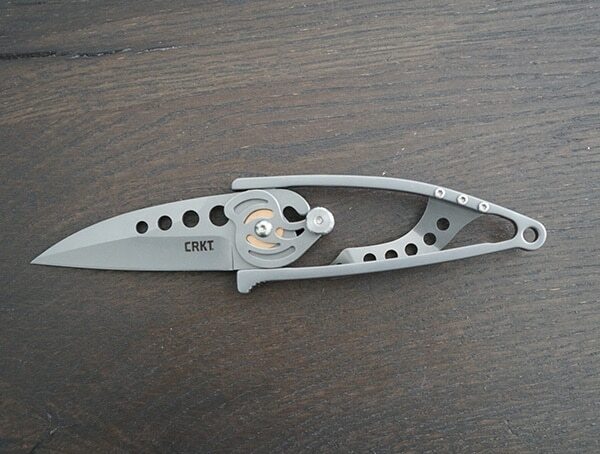 They are makers of multitools, sharpeners and accessories as well. 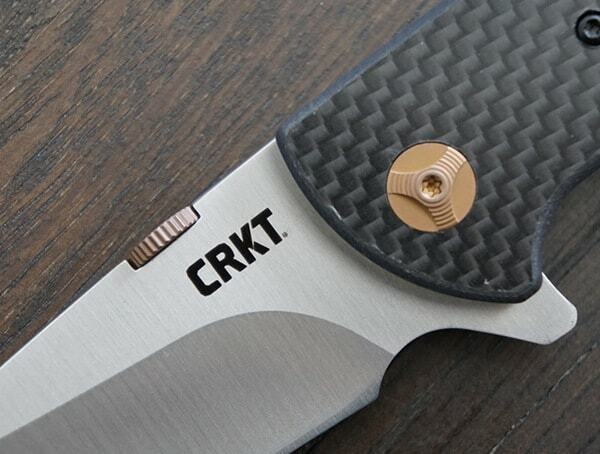 With a cult-like following, there are many die hard CRKT fans in the knife, tactical, outdoor and industrial sectors. 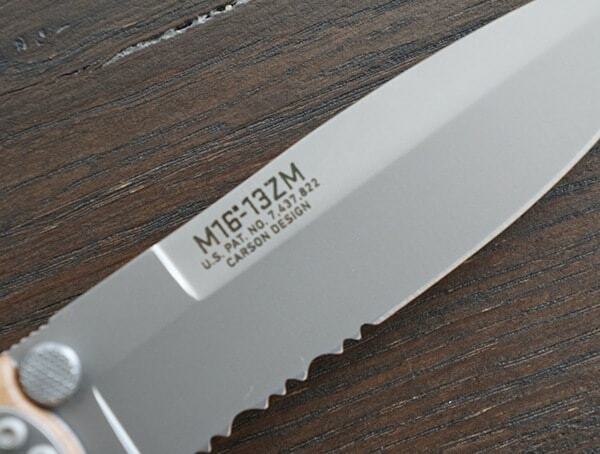 Their website is home to thousands of knives available for purchase. 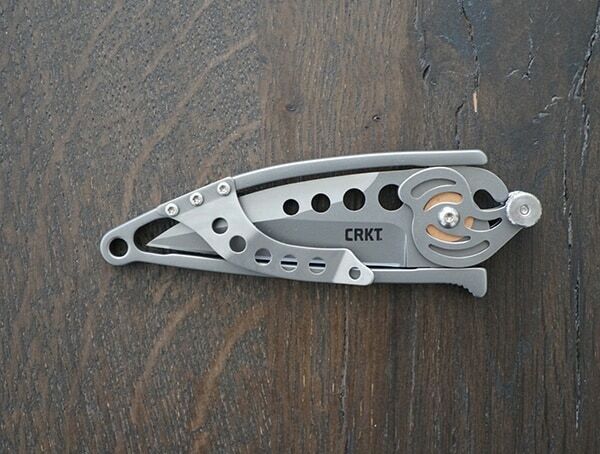 With a selection this large, there is a tool for almost every purpose imaginable. 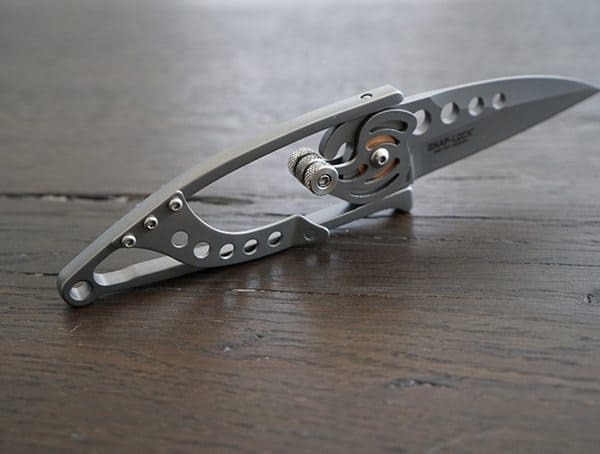 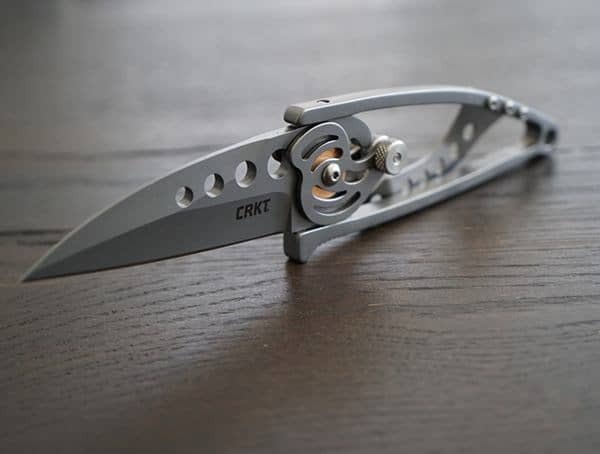 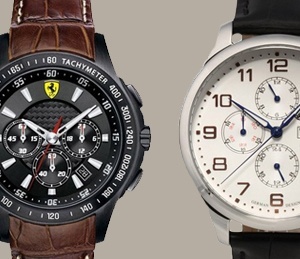 Some of the most innovative designs have been made by CRKT and they hold numerous patents for original design features. 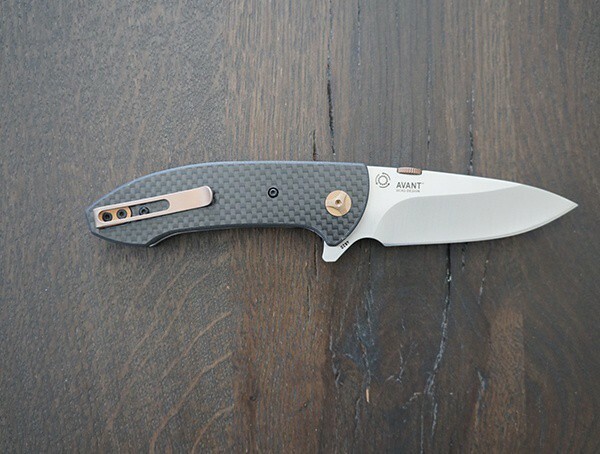 Collaborating with some of the biggest names in the blade business has brought them recognition across every level. 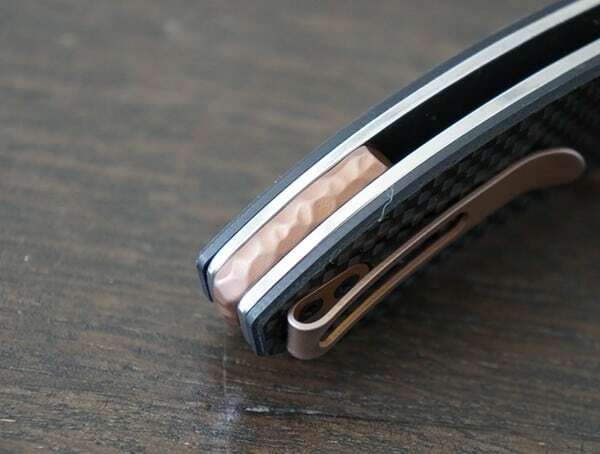 They also produce many levels of knives so there is something there for the purpose driven as well as those concerned with aesthetics and elevated performance. 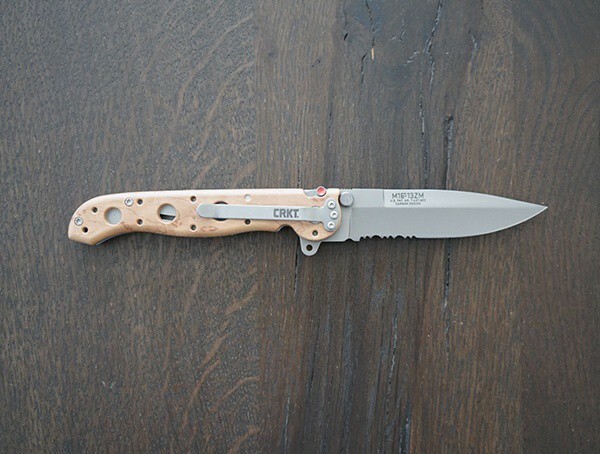 When we tried out a few of their latest knives including the CRKT Snap Lock, M16-13ZM, and Avant. 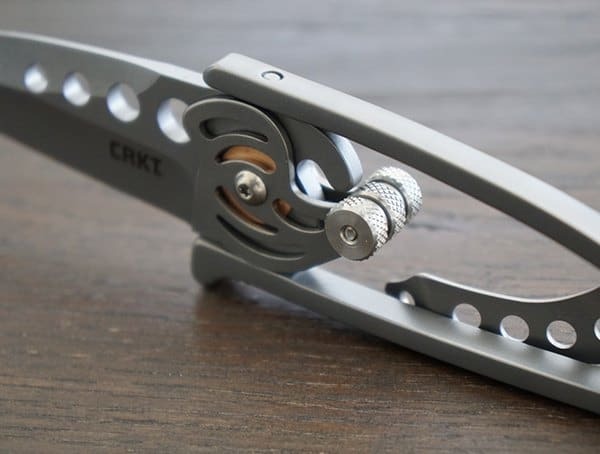 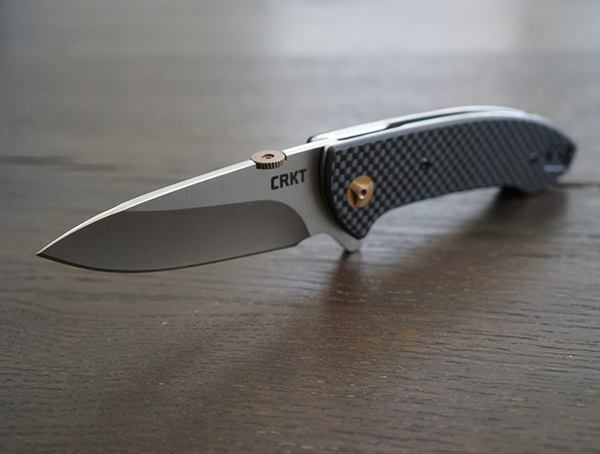 If you are in the market for a very unique knife that is simple, feature rich, comprised of the latest or reliable materials, CRKT has you covered. 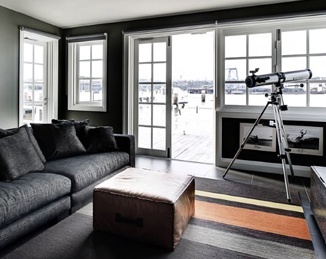 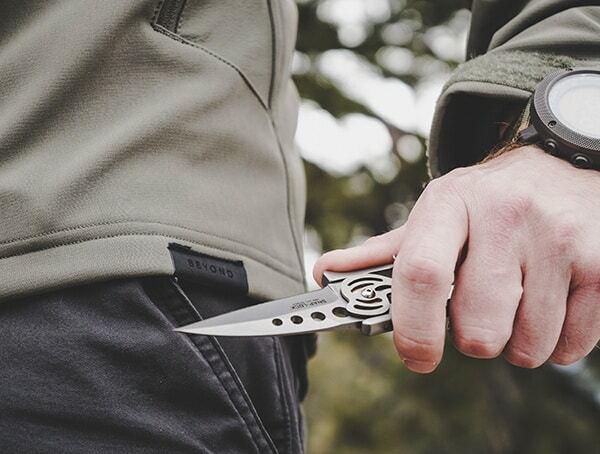 Our thoughts and experience are outlined below alongside a field tested review so you can see the quality for yourself. 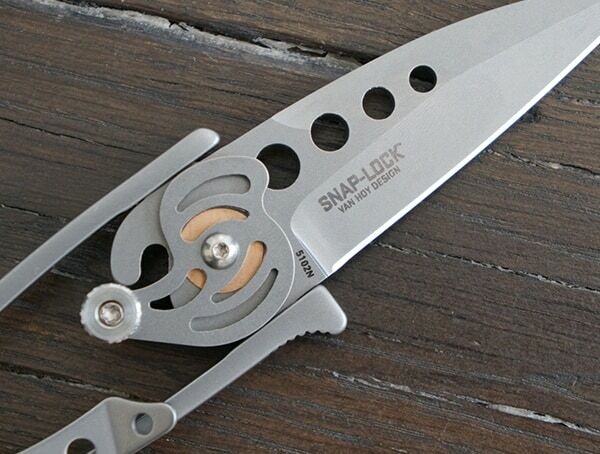 The Snap Lock Knife, one of the most unique and most decorated knives thus far, will provide you with strength, security, and added convenience. 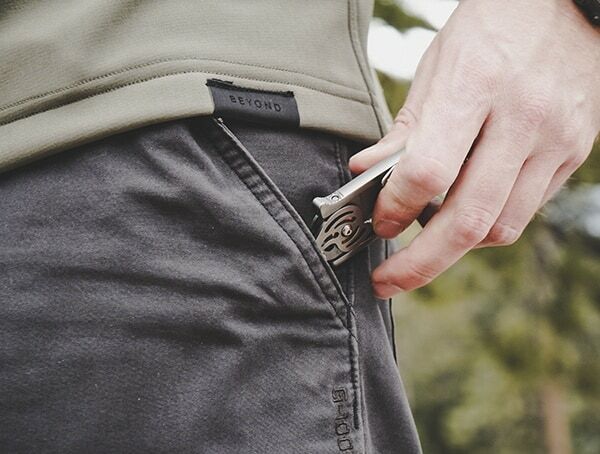 In addition to its common functions, this model even features a money clip, making it a handy all in one tool! 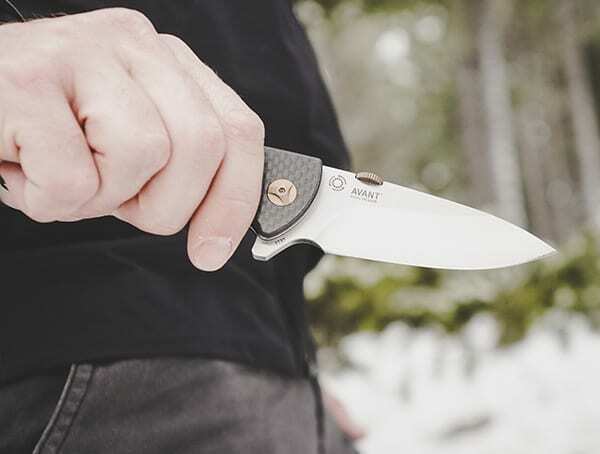 Designed by Ed Van Hoy, the Snap Lock Knife has gained a wave of recognition over the years, including the Most Innovative Knife Award, Most High Tech Design – S.I.C.A.C., Best Fantasy Knife in the 2005 Ohio Valley Knife Show, and Knife of the Year Award in 2004. 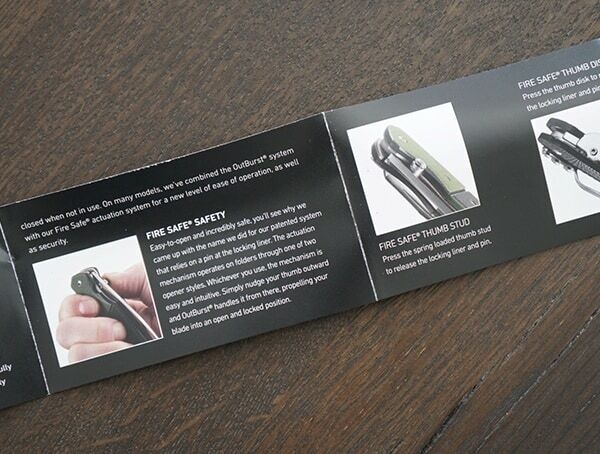 With safety always a priority, it opens quickly, smoothly, and easily with a simple press of a button and a quick twist. 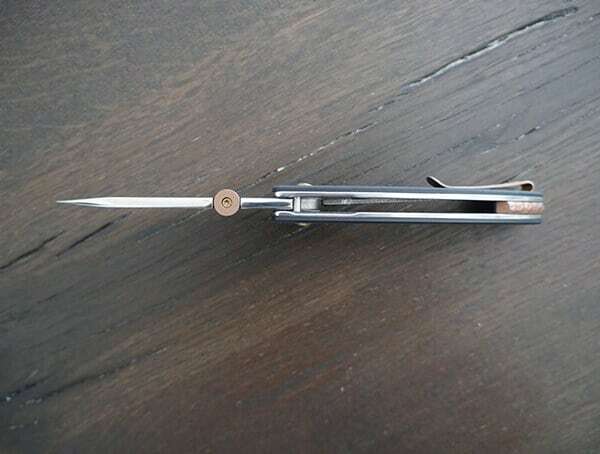 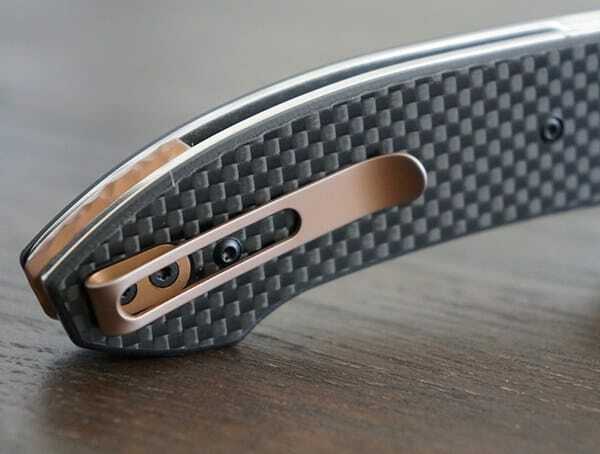 Just press the front cam lever mechanism down and rotate the blade outward. 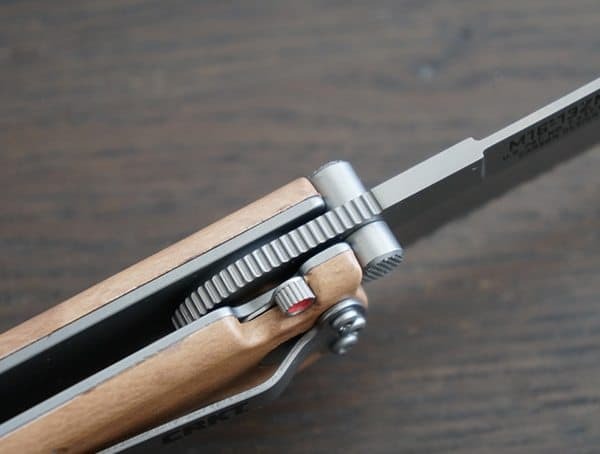 Once fully extended, the blade clicks securely and reliably into place. 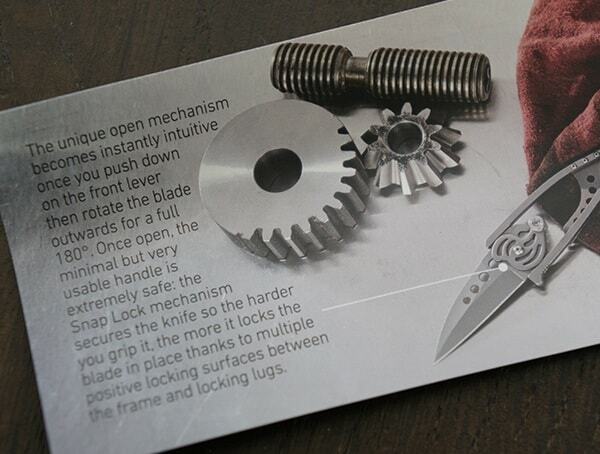 To close the knife, you just need to press down on the cam lever and rotate the blade back in. 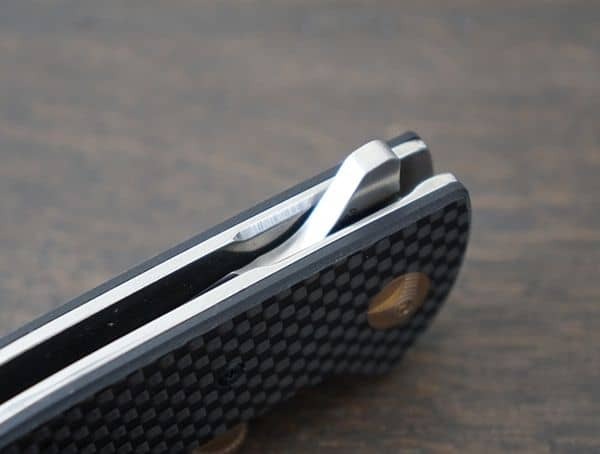 And of course, again, with safety as a top goal, when the knife is closed, it’s protected by 100 percent effective blade edge guard, leaving no part of the blade exposed. 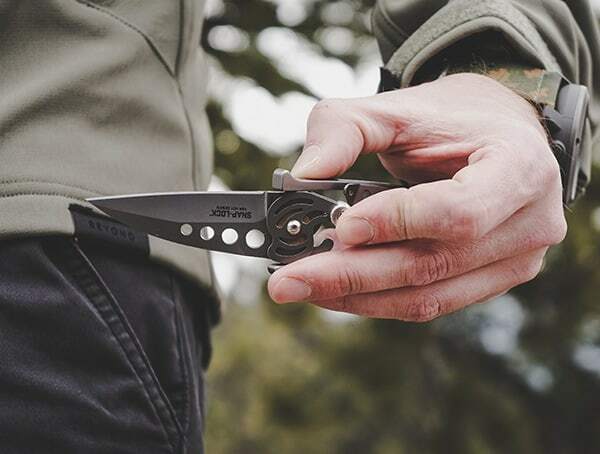 This amazing folding knife with Snap Lock features an incredibly lightweight and sleek design that fits easily and comfortably in your pocket. 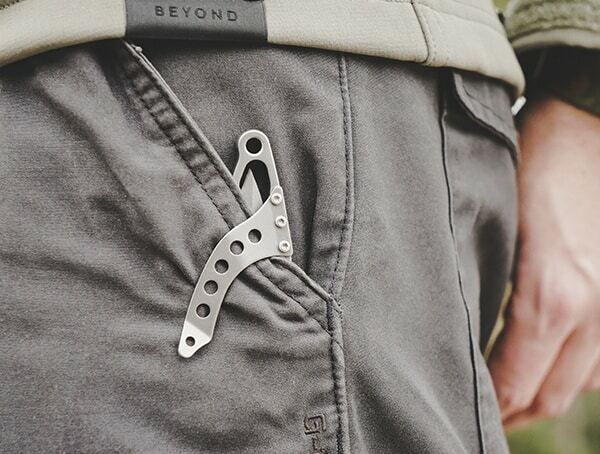 Weighing only 2.5 ounces, it features a durable yet gorgeous wishbone frame with a resilient bead blast finish, and even includes a pocket clip and a money clip, for ultimate ease and convenience! 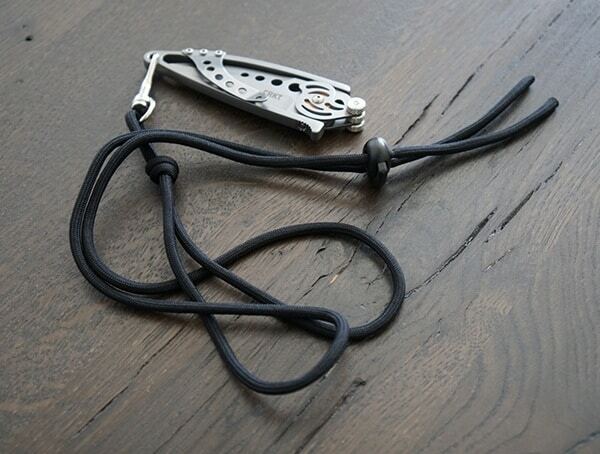 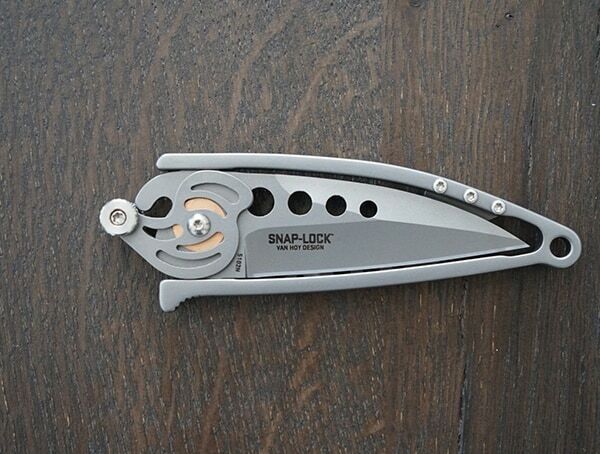 This model is called the Snap Lock Knife because it includes a unique and innovative Snap Lock mechanism, as well as a quick release paracord lanyard. 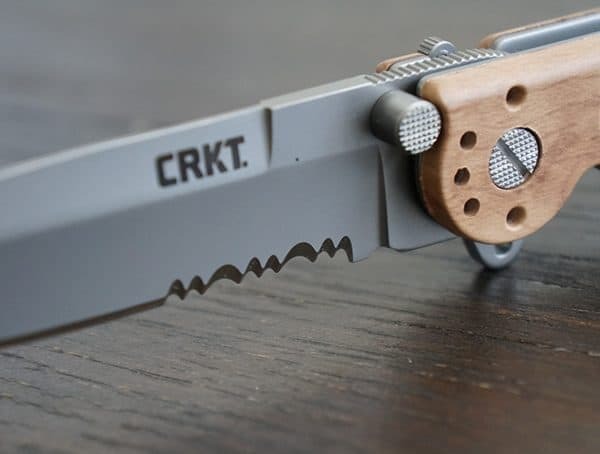 Its 2.554-inch (64.87 mm) long blade rotates a full 180 degrees, and the knife measures 4.207 inches (106.86 mm) in length when closed, and has an overall length of 6.25 inches (158.75 mm). 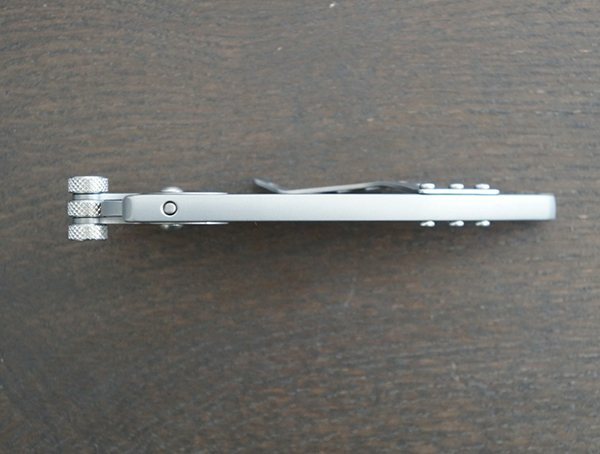 The 420J2, HRC 50-52 stainless steel blade has a thickness of 0.124 inches (3.15 mm). 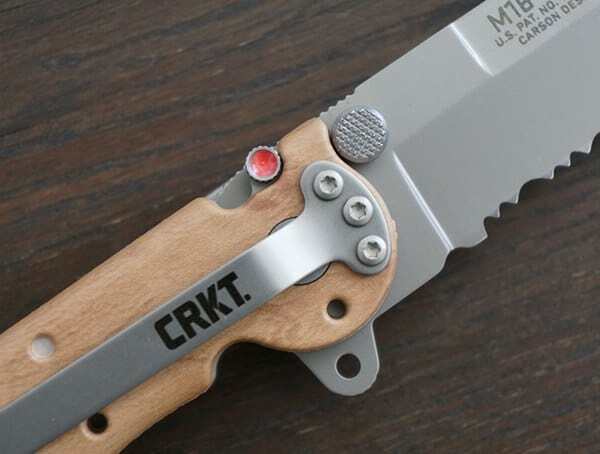 Named one of the top 10 tactical folding knives of the decade by Blade magazine, the M16-13ZM Desert Spear Point with Triple Point Serrations was designed by Kit Carson, a retired ranking master sergeant and current high profile member of the famous Knifemaker’s Guild, known for his innovative and efficient designs. 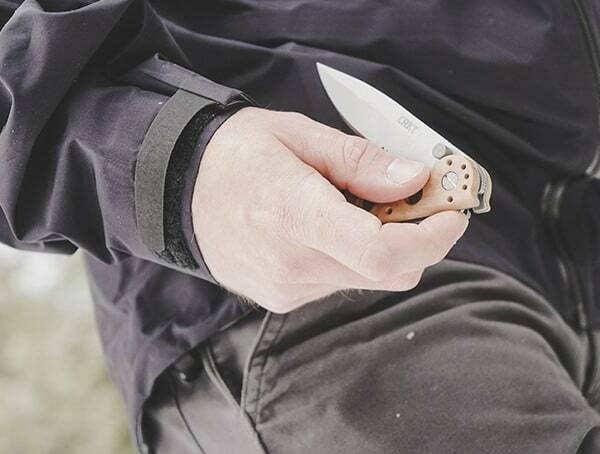 He helped develop a line of Carson desert tactical folding knives especially designed for withstanding harsh and unrelenting desert conditions, as well as blend into the surrounding golden landscape. 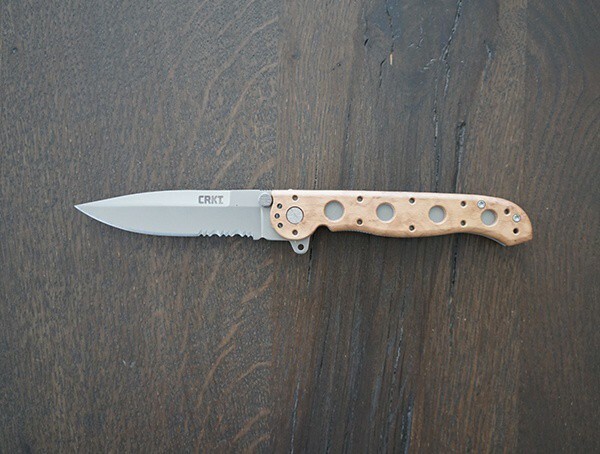 This revolutionary military model includes a super rugged InterFrame build that includes 420J2 stainless steel liners, Desert Camo pattern glass-filled nylon scales, and threaded stainless steel back spacers. 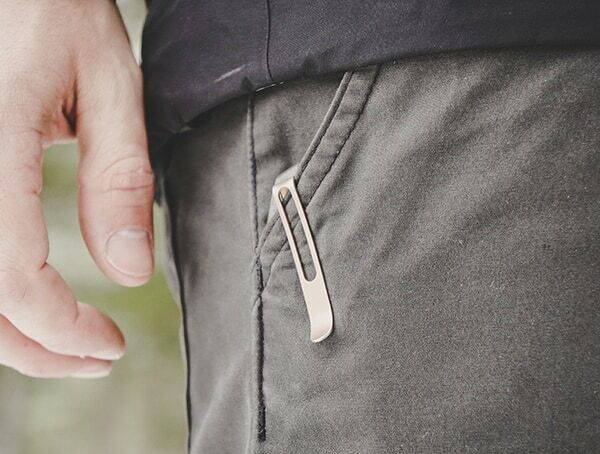 Additionally, its handy gear/clothing clip is actually removable for even more convenience and versatility. 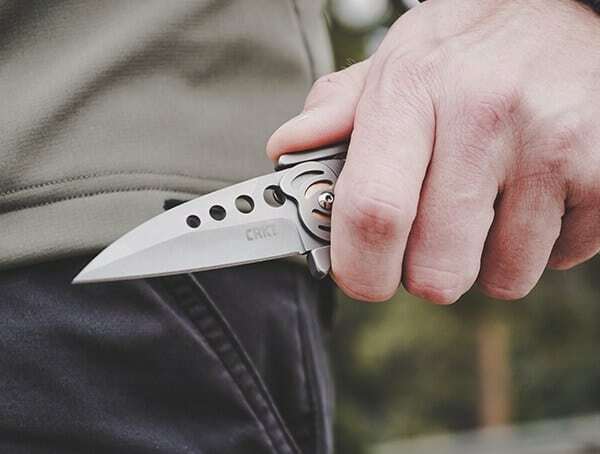 Silver in color with a resilient non-reflective bead blast finish, this folding knife with locking liner includes incredibly durable, glass-reinforced nylon handles with a Carson Flipper. 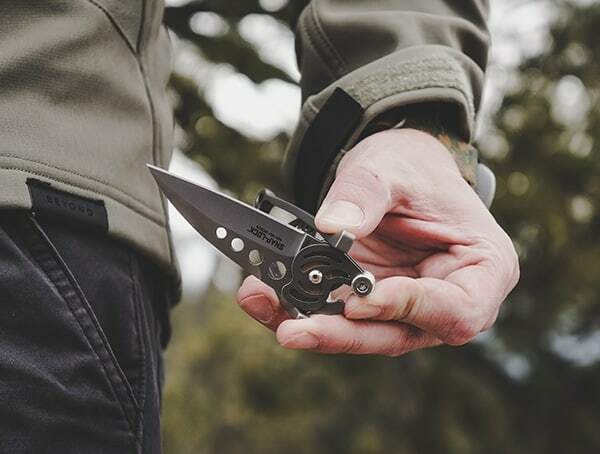 The blade is comprised of AUS 4, 55-57 HRC stainless steel, features Triple Point serrations, combined razor sharp Triple-Point serrated edges, and it is a mere 0.1 inches (2.54 mm) thick. 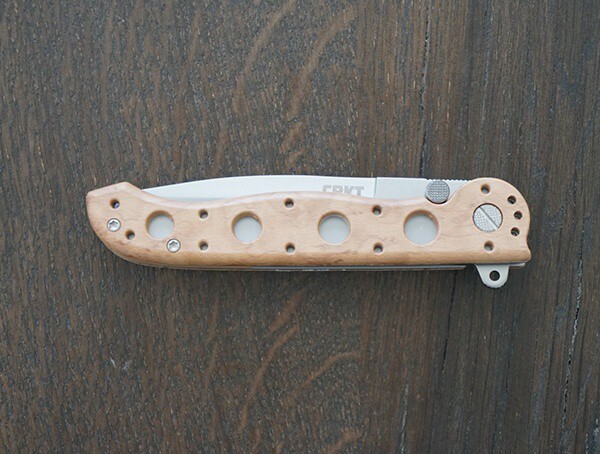 Weighing 3.5 ounces, the knife measures 8.25 inches (209.55 mm) overall, the blade length is 3.5 inches (88.9 mm) long, and closed, the length is 4.75 inches (120.65 mm). 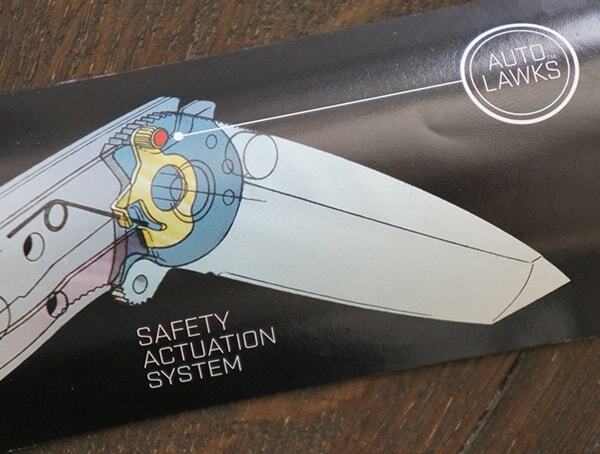 Taking safety to the next level, the Desert Spear features specially designed automated liner safety, which sets a pin between the frame and the locking liner, adding an additional layer of security and confidence. 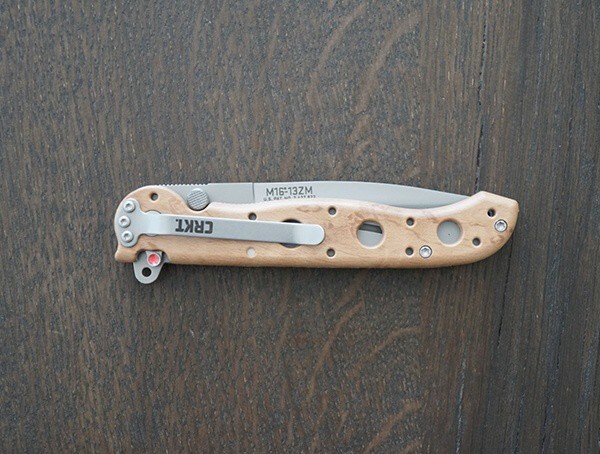 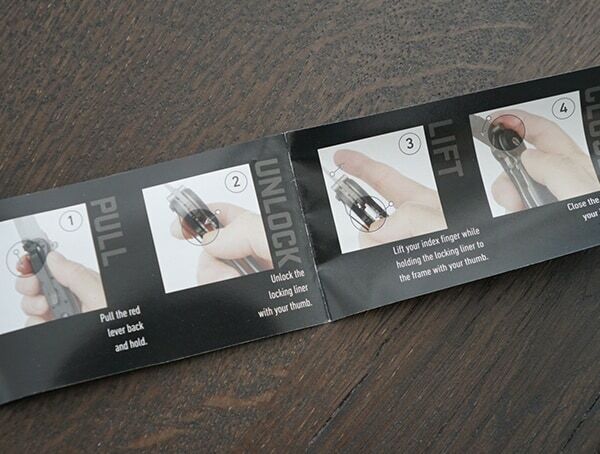 With this model, you can have peace of mind because you won’t have to worry about the knife lock disengaging. 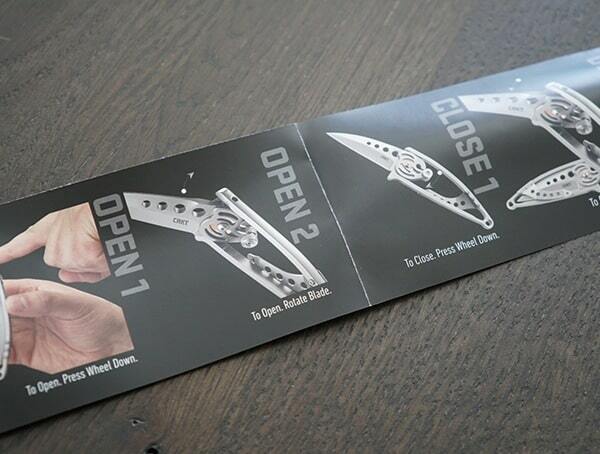 Closing the knife is quick, easy, and safe as well. 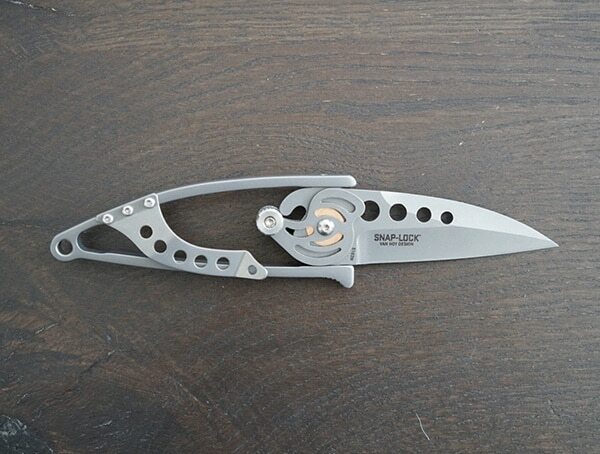 Just pull the red buttoned safety lever, simply slide the locking liner over, and then fold the blade back into its closed position. 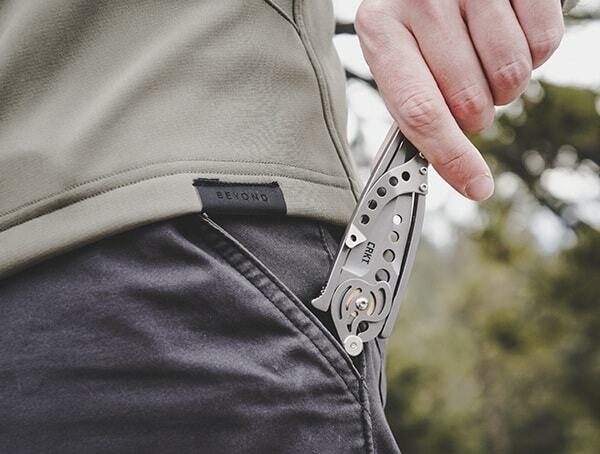 If you’re gearing up for a day out on the trails and need a high-quality tool that won’t weigh down your pack or take up too much valuable space in your bag, a pocket knife may be the perfect tool for your plans. 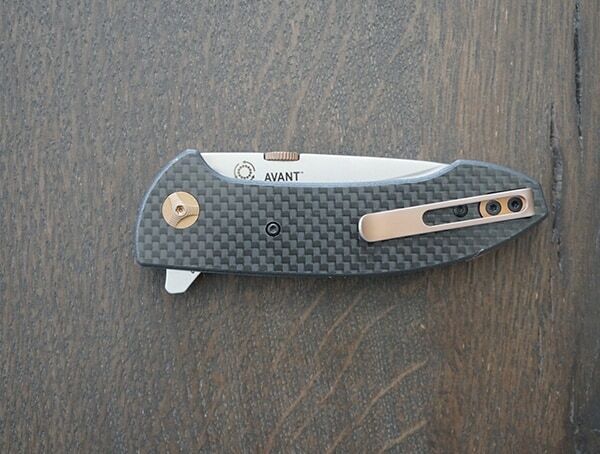 Of course, if you need a reliable EDC knife with a stunning look, the Avant works wonderfully too. 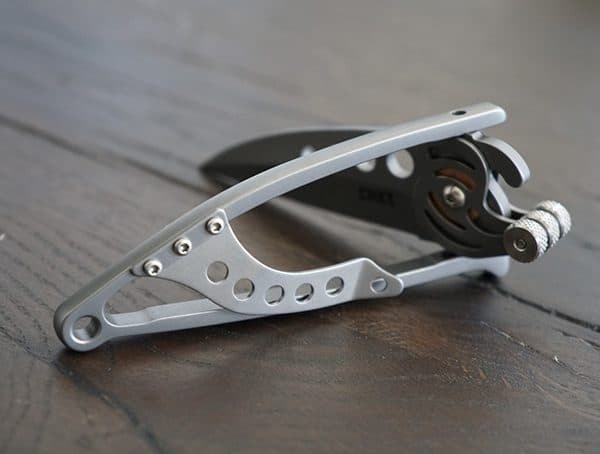 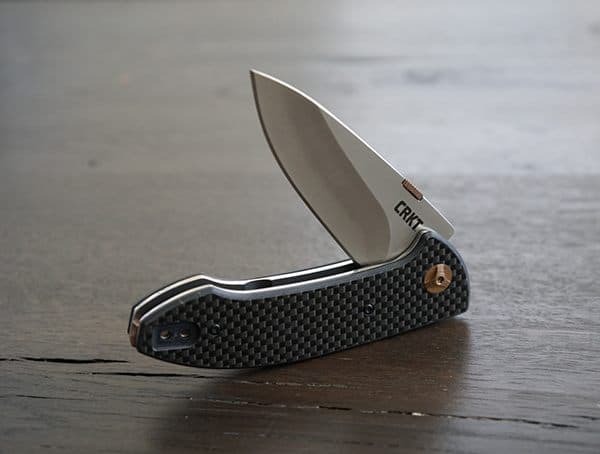 The CRKT Avant is a lightweight pocketknife that is small, simple, but more than strong enough to handle any task you set out to tackle along the way. 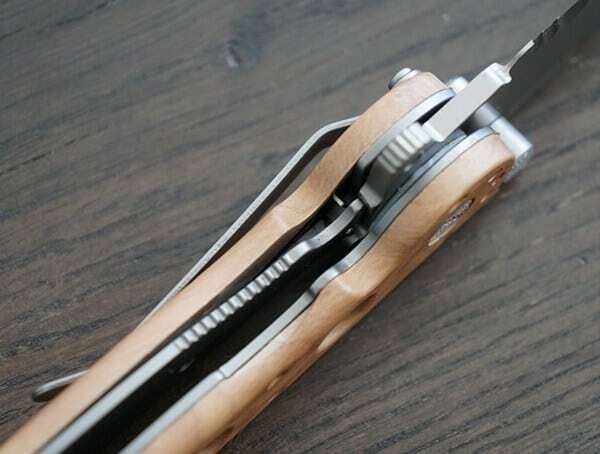 The Avant knife folds along a ball bearing pivot system so that you can unfold the blade quickly and easily. 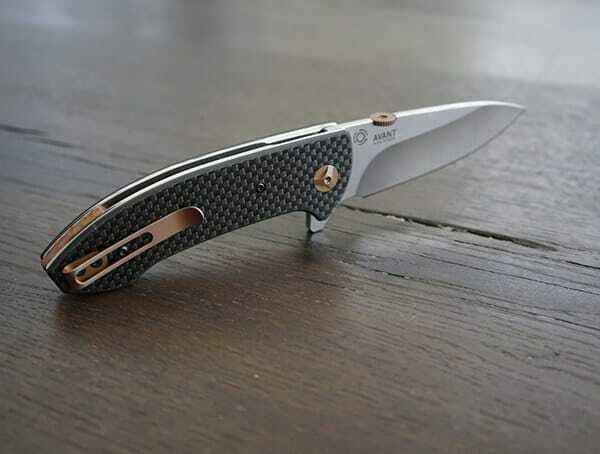 The blade itself features a simple, streamlined design with understated brass detailing and a satin finish. 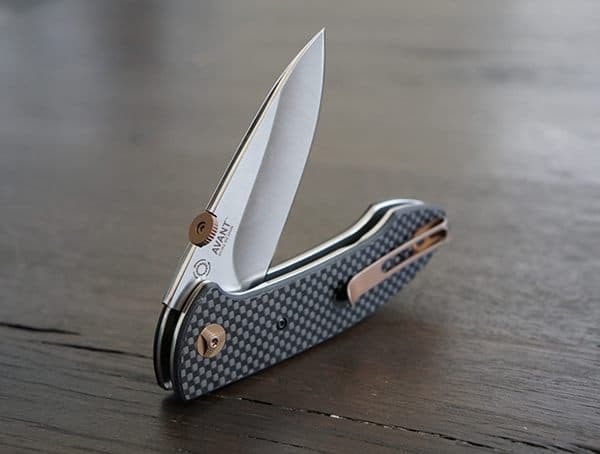 The handle is made of a carbon fiber weave, so that the resulting design has a solid grip as well as an attractive style and pattern. 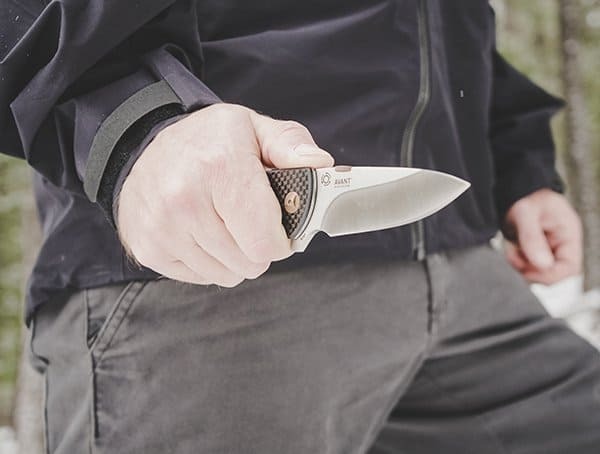 The blade measures 3.175 inches (80.65 mm), and the locking handle takes the length up to 7.5 inches (190.5 mm), but the entire knife weighs only 5.4 ounces, so that you won’t have a problem adding this tool to your already full kit before you hit the trails. 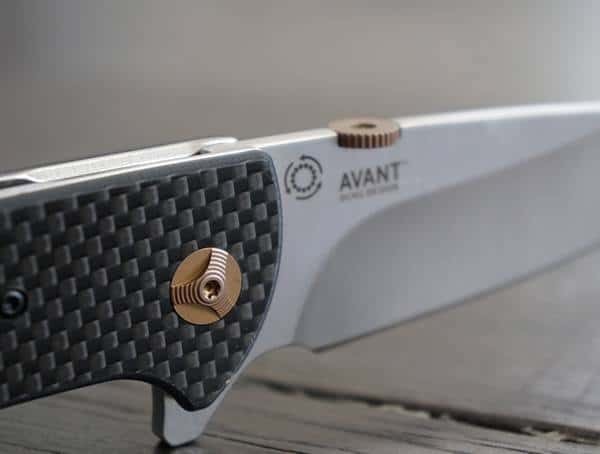 With a folded steel blade that still measures in at only 0.143 inches (3.63 mm), the Avant blade tapers to a razor-sharp edge that can help you out of any situation. 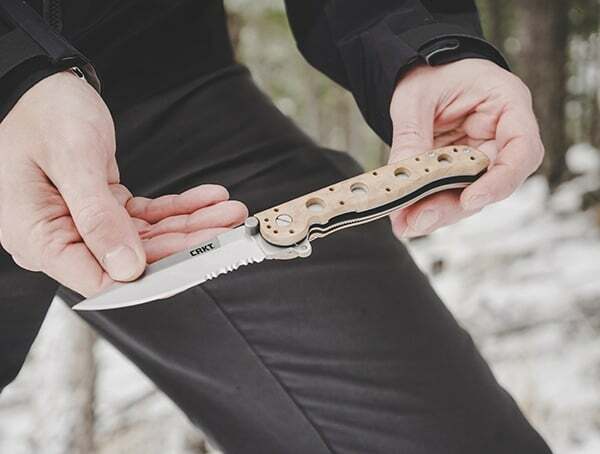 The minimalist Bowie design sets it apart from other run-of-the-mill folding pocket knives, and the quality construction guarantees that it will be a part of your gear for years to come. 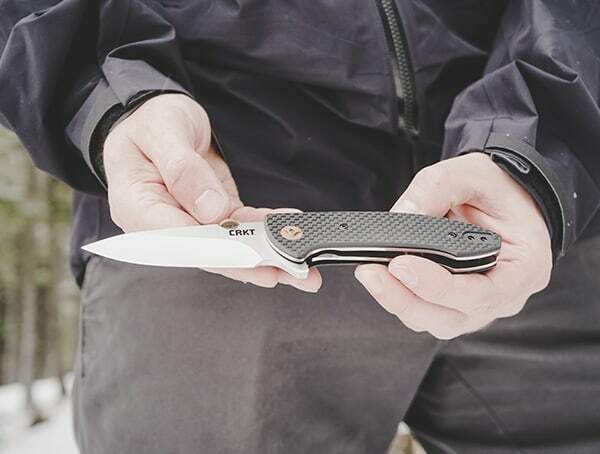 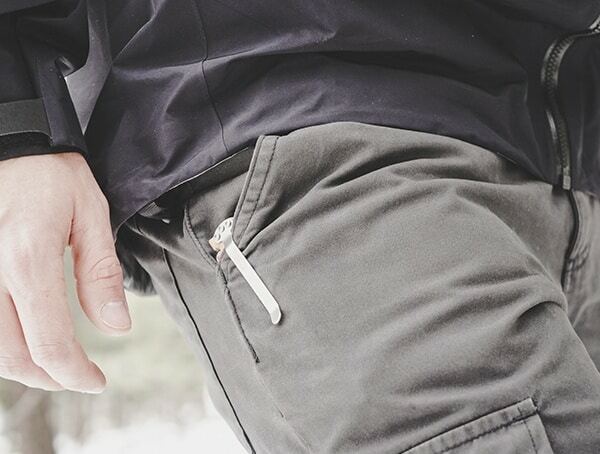 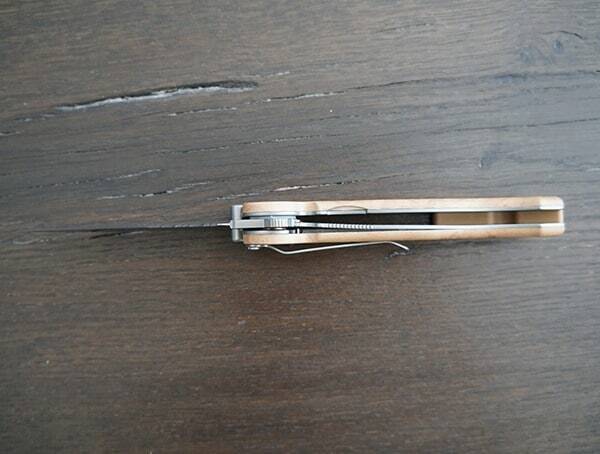 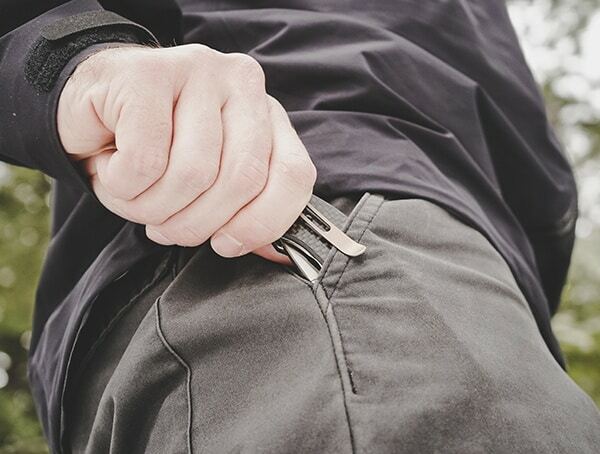 Designed by mountain climbers, for mountain climbers, the Avant pocketknife knows exactly what you’re looking for because it was designed by people who share the exact same love of adventure, the same thrill of the climb, and the same thirst for life that you do each time you head out for another adventure.